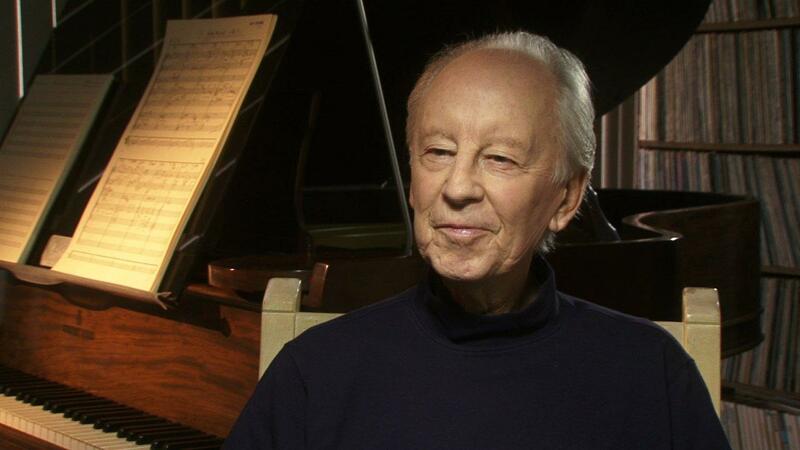 Ian Fraser was among the most beloved of music directors in Hollywood. The winner of more music Emmys than anyone in history, he was also an Oscar nominee and favorite collaborator of Julie Andrews, songwriter Leslie Bricusse, and many others. The name of Ian Fraser as music director on any project — whether film, TV, a stage show or an album — always assured a classy orchestral sound and impeccable taste. Fraser, who died in October, was remembered at a memorial service yesterday by some of his famous friends, including Andrews, Bricusse and composer John Williams. Here is a recap of the event. This entry was posted in Composers, Film Music, Television Music and tagged Film Music Society, Ian Fraser, John Williams, Julie Andrews, Leslie Bricusse on March 2, 2015 by Jon Burlingame.